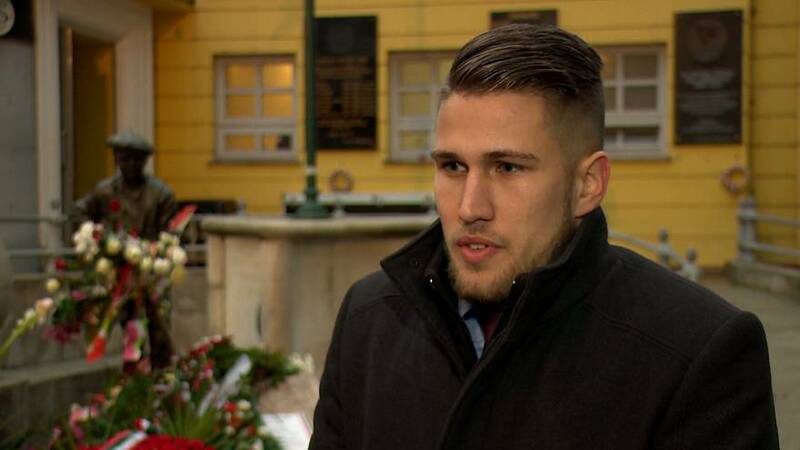 Hungarian 'radical right' party leader on promoting "ethnic pride"
"We are Hungarians, we are white people, and we want to defend the European race"
Balázs László: “My biggest concern is about statistics. The European population is about 450-500 million. Some estimations say that about 30, according to other estimations, even 60-70 million Middle Eastern muslims are already living here in Europe, the number of the Eastern-European Gypsy community is about 10-12 million, not to mention the number of the African immigrants. “We can say that in 10 years, one billion people can depart from Africa. Our fertility rate is at a very minimum level, so there is about one child for two Hungarian parents. “Our population is in continuous decline, while the ones who are coming here, or who are already living here with us, are growing continuously. It wouldn’t be an issue, but we see the No Go-zones… In Hungary there are 1600-1700 Roma settlements, where the violence is raging. I am travelling through the country, so I see, what is happening… There are dreadful situations. “The most important would be to restore the society’s immune system. People’s minds have been transformed in the sectors I talked about before. People don’t care about their own people anymore, they think, everyone should be accepted. They don’t have the healthy life instinct anymore that their own people should survive. And we want to draw attention to this so that the people should direct their political thinking towards this issue, which is one of our main problems. “There is an attack not just towards the European people’s community, but also everything, which is our essence, what is the foundation of the Western civilisation. They want to destroy everything. In 1918 the monarchies were destroyed. From the 60’s the churches were being harassed, then after 1968, after Paris our culture was attacked from the inside. “We are at the point, where someone can question his or her own gender. So natural things are being questioned, which can lead to total chaos. Every culture with high moral standards in the world were destroyed this way, these were the last signs of the decline. And if we don’t see this, then we can say that the white people will disappear.